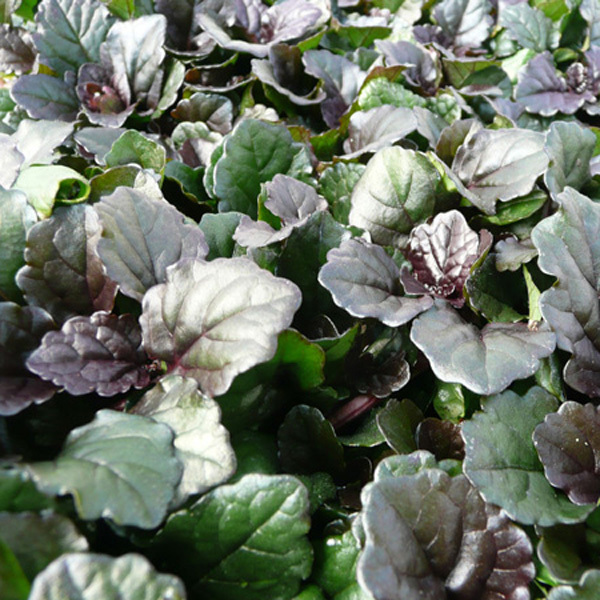 Also known as Bugleweed, this is one of the most commonly planted ground covers for shady areas. 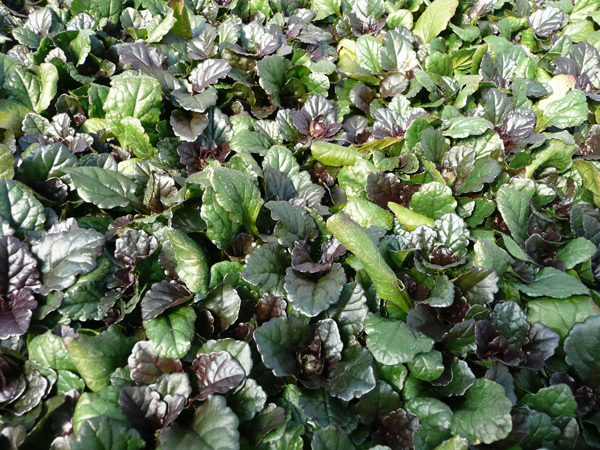 Plants quickly form a low carpet of medium-sized, rounded leaves, in an attractive bronzy-purple shade. Short spikes of deep blue flowers are an added bonus in mid to late spring. Vigorous habit, and evergreen in most regions. Not the best choice for extremely dry shade conditions, like under maple or evergreen trees. Will perform well in tubs or mixed containers. Easily divided in spring or fall, the plants make runners that root into the ground. These can be moved to start a new patch.